Pioneer Electronics announcement the HTZ-BD32 home theater in a box, offering multi-functional Wi-Fi Blu-ray 3D player, up to 1100 Watts of amplification power, six compact speakers for true 5.1-channel surround sound effects, and plenty of network features to satisfy a variety of entertainment needs. 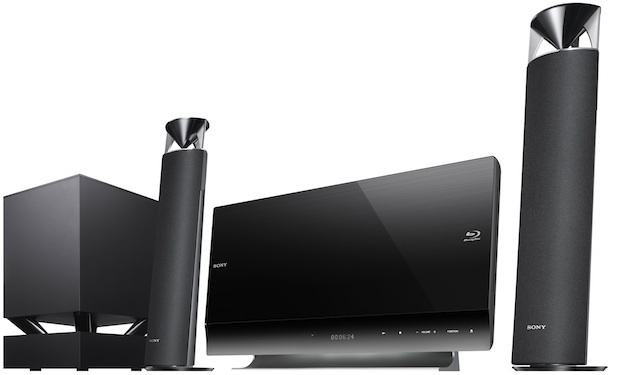 Pioneer's HTZ-BD32 is designed to bring an advanced home theater experience in a small package that is very easy to set up. The plug-and-play system includes color coded wires for fast connections. 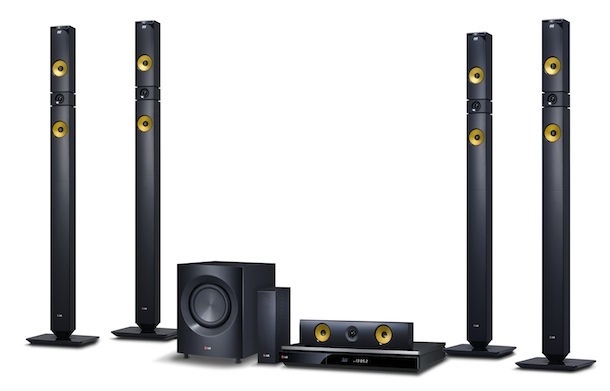 The system includes two (3.8″ x 3.8″) front satellite speakers, one (11.8″ x 3.5″) center speaker, two rear (3.8″ x 3.8″) speakers and an amplified 250 Watt subwoofer. 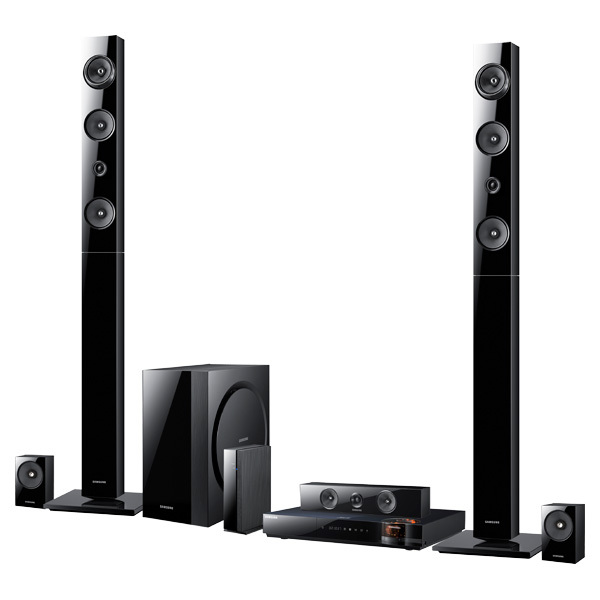 Audio features include Dolby TrueHD, DTS-HD, Dolby Digital, Dolby Pro Logic II, and Virtual 3D sound, as well as Pioneer's Advanced Sound Retriever technology, in which enhances compressed audio files to deliver near-CD quality playback. 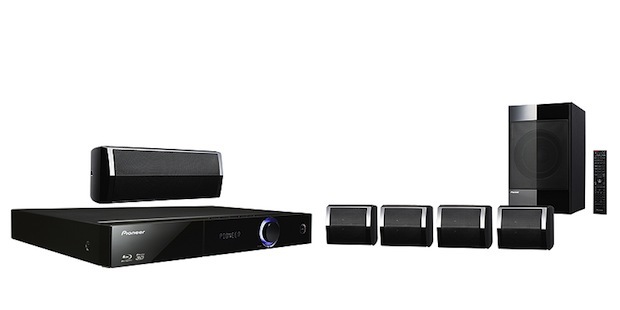 It also offers Blu-ray 3D, Blu-ray Disc, DVD, AVC, SACD and CD playback, 1080p up-scaling and two HDMI inputs. 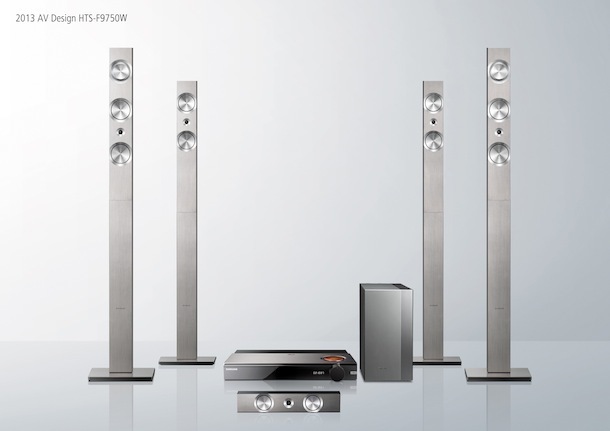 For versatility and convenience, the HTZ-BD32 includes built-in Wi-Fi and DLNA 1.5 capability, is Bluetooth ready (AS-BT200 required, sold separately), and supports YouTube, Picasa and Netflix viewing (Netflix subscription required) as well as Pandora Internet Radio listening. The system is equipped with a cradle for iPod/iPhone, a front USB connection, and a Karaoke function with microphone volume and echo control. 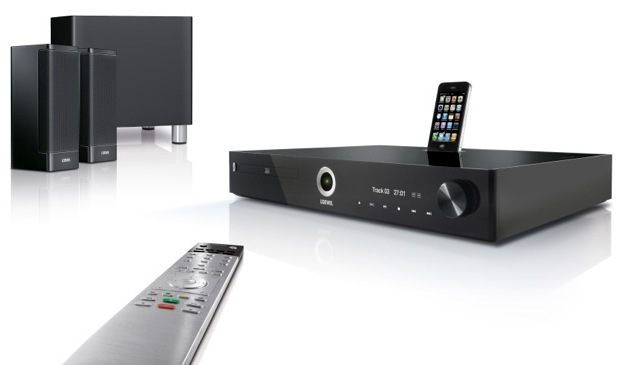 The Pioneer HTZ-BD32 will be available late-July 2012 for $499. 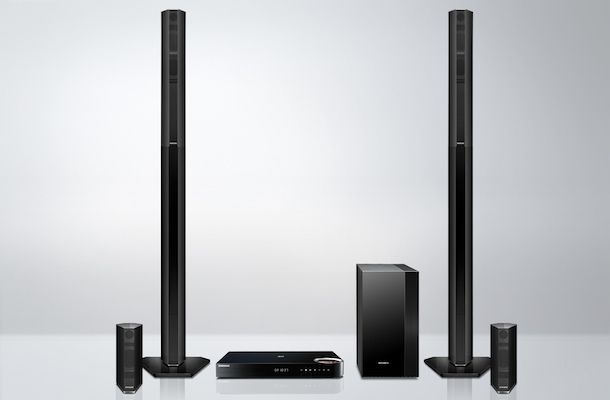 See more about home theater.